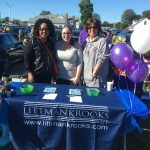 Littman Krooks was a sponsor of the Alzheimer’s Association’s Walk to End Alzheimer’s at White Plains High School held this past September 2016. The walk, organized by the Alzheimer’s Association, the largest non-profit funder of Alzheimer’s disease research. The organization is supported by local chapters that raise awareness and offer resources to people and their families that are impacted by the disease. Alzheimer’s disease is the sixth-leading cause of death in the United States. One in three seniors dies with Alzheimer’s or another form of dementia. About 1,500 people took part in the 2016 Westchester Walk to End Alzheimer’s. The five Hudson Valley walks are expected to raise more than $1 million over the next few weeks. Learn more about our elder law, guardianship and estate planning services. An assisted living home for seniors in New York City is closing and five residents who had refused to move will accept a $3.35 million settlement. In March 2014, the management of a home for seniors in Brooklyn announced that the facility was closing and the residents would have to move within 90 days. Many of those affected were angry, alleging that the building owners wanted to sell to a developer. Most moved out as requested, but one group filed a lawsuit to halt the closing. The New York State attorney general, investigated the matter, saying that giving seniors 90 days to leave their homes was unreasonable. Some had Alzheimer’s disease or other dementia; family members worried that they would not be able to find the same level of care at another facility and that moving would be traumatic. By November 2014, there were eight holdouts in the building, faced with empty halls and dwindling services. Now there are five, ranging in age from 91 to 101. Each of them will receive more than $500,000 in the settlement, but they must leave their apartments by the end of the summer. Attorneys for the residents said the settlement was a victory, giving the seniors the time and money they need to find other accommodations. An attorney for the building’s owner said he was satisfied. The lawsuit also named the New York State Health Department as a defendant, claiming that the agency did not follow federal and state rules regarding the closing of the home. A resolution to that part of the lawsuit has not been reached at the time of this writing. Seniors & Mental Health: Is it Mental Illness or Aging? Seniors are more at risk for mental illness than the general population. According to the Centers for Disease Control and Prevention (CDC), about 20 percent of people age 55 and older experience some kind of mental health concern. Not only are more seniors affected by mental illness, nearly one in three affected older adults does not receive treatment. By learning more about this often-misunderstood problem and watching for warning signs, we may be able to help elders in need get treatment. Most people are aware that seniors are more at risk for Alzheimer’s disease and other cognitive impairment. About 11 percent of seniors have Alzheimer’s disease, but it is crucial to understand that cognitive decline is not a normal part of aging. Therefore, changes such as increased forgetfulness, confusion or disorientation should be taken seriously. With a prompt diagnosis, seniors can benefit from treatment earlier, and any necessary changes to their living environment can be made in order to keep them safe. 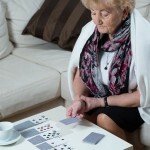 Seniors are also at risk for depression and mood disorders. According to the CDC, in a 2006 survey, 10.5 percent of people age 65 and older said they had received a diagnosis of depression at some time in their lives, and 5 percent had current depression. Another 7.6 percent received a diagnosis of an anxiety disorder at some time in their lives. Anxiety disorders can include a variety of problems, such as phobias, post-traumatic stress disorder and obsessive-compulsive disorder, including hoarding syndrome. Many seniors fail to seek treatment, in part because some people mistakenly believe that depression is a condition natural to aging. Mental health concerns can have consequences beyond the symptoms of the condition itself. Untreated mental illness can lead to social isolation, take away from seniors’ independence, and cause physical problems and additional medical concerns. That is why it is important for seniors to take preventive measures, and for their loved ones to be aware of warning signs. Studies have shown that preventive measures can alleviate mental health problems. The risk of depression and anxiety can be lowered as a result of better physical health. Simple exercise three times a week can be even more effective than prescription medication. Research also indicates that keeping the mind active, through social activities, games and puzzles, and communication with friends and family, can decrease the risk of mental health disorders. Loved ones and caregivers should watch for changes that may indicate mental health concerns for seniors. unexplained physical changes, such as in dress, weight or hygiene. If any of these symptoms appear, discuss them with the family doctor. Treatment such as counseling or psychiatric care can help seniors get on the right track to healthy aging. Under new rule proposals soon to be released by the Financial Industry Regulatory Authority (FINRA), financial advisers would be able to delay disbursing funds from the accounts of senior investors if they believe financial elder abuse may be taking place. One of the proposed rules would allow financial advisers to wait up to 15 days to disburse funds from senior investors’ accounts if they reasonably believe that financial exploitation is occurring. The proposed rule defines a senior investor as a person who is age 65 or older, or an investor who may be vulnerable for other reasons. The rule would allow advisers to reach out to a person designated as a trusted contact. A related proposal would require financial advisers to make a reasonable attempt to get contact information for a trusted person on senior investors’ accounts. Under the current proposal, if a senior investor declines to provide such information, the adviser is still permitted to open the account. The proposed rules would require that if an adviser paused disbursements on a senior investor’s account because of suspected financial elder abuse, the adviser would be required to notify the trusted contact. However, if the trusted contact is the person suspected of committing the exploitation, then the adviser could notify another family member or other responsible party. The proposed FINRA rules are similar to rules proposed by the North American Securities Administrators Association (NASAA) recently. The NASAA rules allow for a 10-day hold on disbursements when abuse is suspected, and provides for qualified immunity from civil or administrative liability for firms that report suspected financial exploitation of seniors. Our guest blogger this week is Amy Brandwene, LMSW. She has a Certificate in Gerontology and MBA in Marketing from Fordham University. She has worked with older people and their families in skilled nursing environments, assisted living and continuing care retirement communities. As the sun sets, anxiety increases for some elders with Alzheimer’s or other forms of dementia. 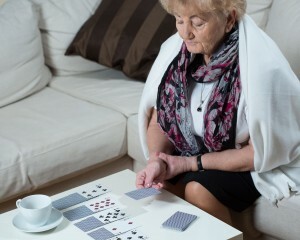 That’s because of “sundowning,” a condition characterized by increased confusion and agitation which starts in the late afternoon or early evening and often includes nighttime wakefulness, aggression and wandering. The Alzheimer’s Association estimates that some 25% of people with dementia suffer from sundowning. It takes a huge toll on caregivers who must choose between care and vigilance and their own sleep, and so, is a leading reason for people with dementia to be placed in nursing homes. In additional to providing a caring and safe environment, the NightCare program offers activities designed to help these elders connect with others; conversation, games, and art, music and recreational programs can all be beneficial. For those who can participate, falls prevention and safe walking programs, as well as Tai Chi and elder-friendly yoga are available. 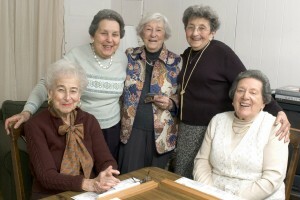 There is a nurse who can administer medication, and if the elder also participates in the Adult Day program at Sarah Neuman, there is coordination between the day and night nurses. The NightCare program at Sarah Neuman offers dinner after arrival, snacks and breakfast. The program will also include a caregiver support group to help families cope with the strain of dementia care. For more information contact: Amy Brandwene, LMSW at Jewish Home’s Sarah Neuman Center in Mamaroneck, NY 914-864-5804. She is currently the social worker for the Sarah Neuman Center’s Day Center and NightCare program. Stage 1: No symptoms of dementia are present. However, evidence shows that changes to the brain begin long before symptoms develop. Stage 2: Very mild cognitive decline begins, which can be similar to normal changes associated with aging. The person may have trouble finding words or misplace things easily, but dementia cannot be detected in an exam. Stage 3: Mild cognitive decline that starts to be noticeable to family or co-workers. Issues such as trouble remembering names, finding the right words, short-term memory, and planning and organization, but diagnosis may not be possible. Stage 4: Moderate cognitive decline that can be diagnosed as early-stage Alzheimer’s disease. The symptoms are more clear in this stage, and will include short-term memory issues, trouble with mental math, difficulty performing complex tasks and changes in mood. Stage 5: Moderately severe cognitive decline, also known as mid-stage Alzheimer’s disease. At this time, the cognitive decline is noticeable, and often the person’s ability to perform activities of daily living (ADLs) like cooking and grocery shopping begins to decline. Confusion is pronounced. Stage 6: Severe cognitive decline occurs. Memory continues to get worse, and personality changes occur. The person may have trouble remembering their personal history, may forget the names of their spouse or caregiver and may need help with ADLs such as dressing and toileting. Changes in sleep patterns are common, and wandering can be a problem. Suspiciousness, delusions or compulsive behavior may develop. Stage 7: Very severe cognitive decline, also known as late-stage Alzheimer’s disease. The person is no longer able to carry on a conversation, respond to the environment, or control their own movements. The person needs extensive help with ADLs, including eating and using the toilet. This stage of Alzheimer’s becomes fatal. For more information about resources for Alzheimer’s patients and caregivers, visit http://alz.org. Learn more about our services by visiting www.littmankrooks.com. When drafting advance directives, a common problem for many people is making these documents easily accessible for their loved ones. 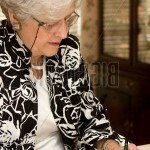 What is an advance directive? 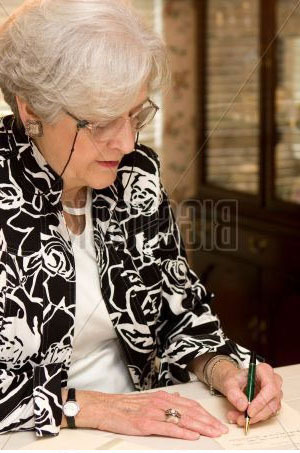 A legal document in which a person specifies what arrangements should be taken for their health if they are no longer able to make decisions for themselves because of illness or incapacity. There are different ways of creating advance directives, including a living will, a durable power of attorney and also a health care proxy. People may feel that their advance directive should be kept with their attorney or in a safe deposit box. However, decisions about medical treatment often need to be made quickly, so it is important that an advance directive be not only safe, but easy to get to. 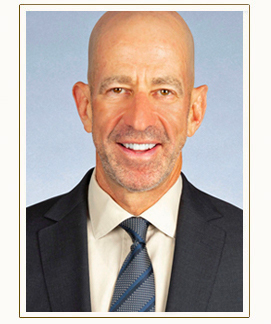 If an individual’s advance directive appoints another person as health care proxy, then that person should have a copy of the document, or know where it is kept. If a patient is incapacitated, then it is important that the health care proxy be able to present the document to medical personnel. It may also be wise to keep a copy of the document in electronic form, stored in such a way that it is accessible from a smartphone or other device. Such electronic copies have the same legal authority as the original paper document, and they can be accessed more easily. Ask your attorney what they recommend for digital or cloud storage for these documents to ensure the security of your private information. Learn more about our services within elder law and advance directives by clicking here.